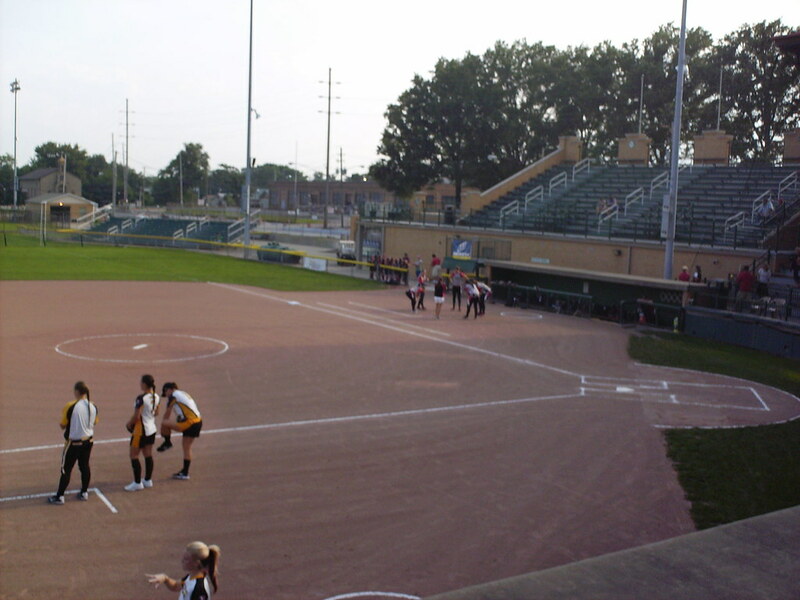 The view from behind home plate at Firestone Stadium. 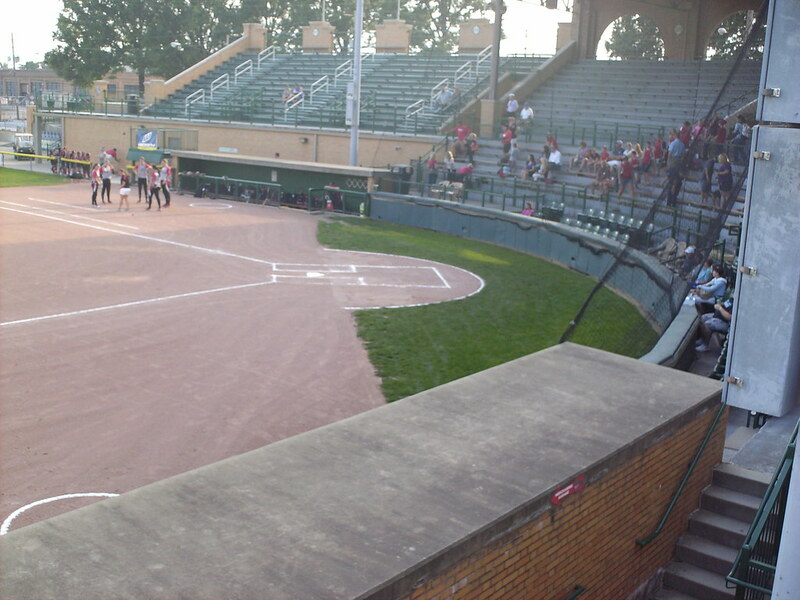 The grandstand at Firestone Stadium as seen from the left field corner. 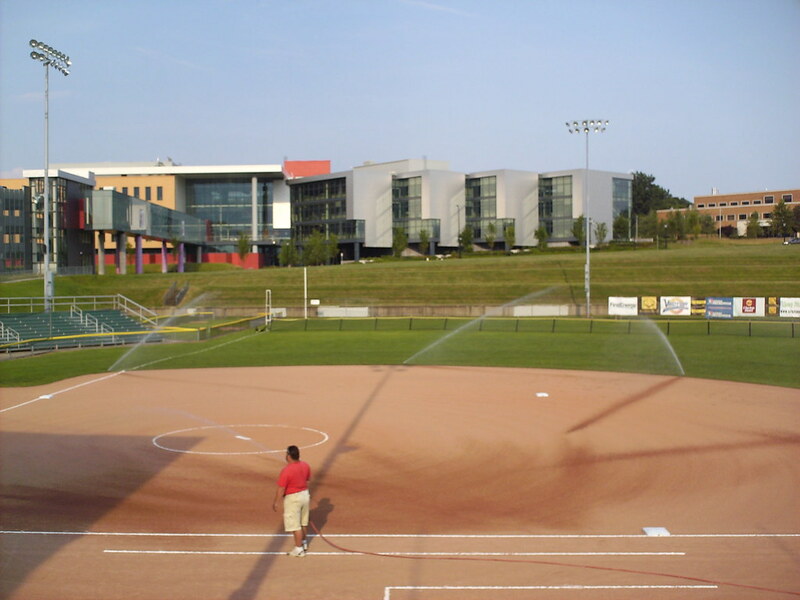 The stadium was built in 1925 by the Firestone Tire Company for company baseball and was donated to the city of Akron in 1988. 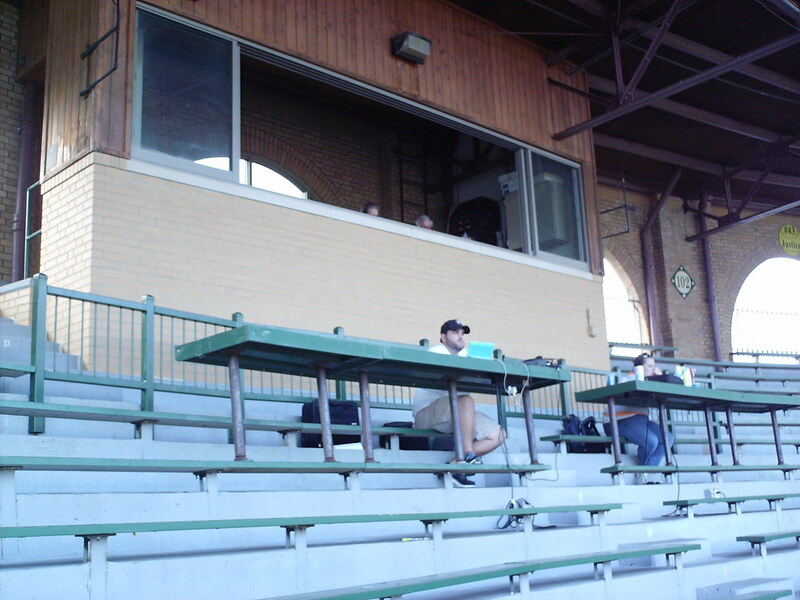 The wooden pressbox at the top of the grandstand, with tables in front for writers and more press. 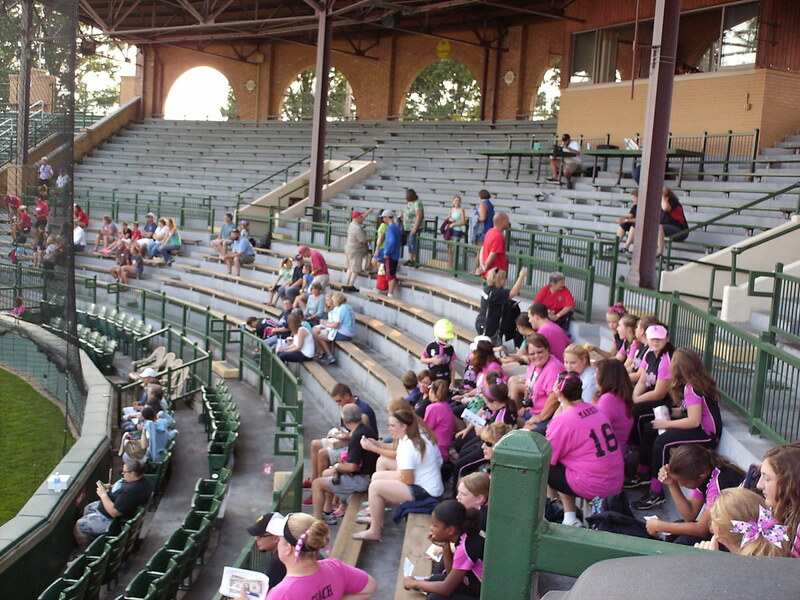 The grandstand features mostly wooden bench seating, with a couple of rows of fold down box seats close to the field. 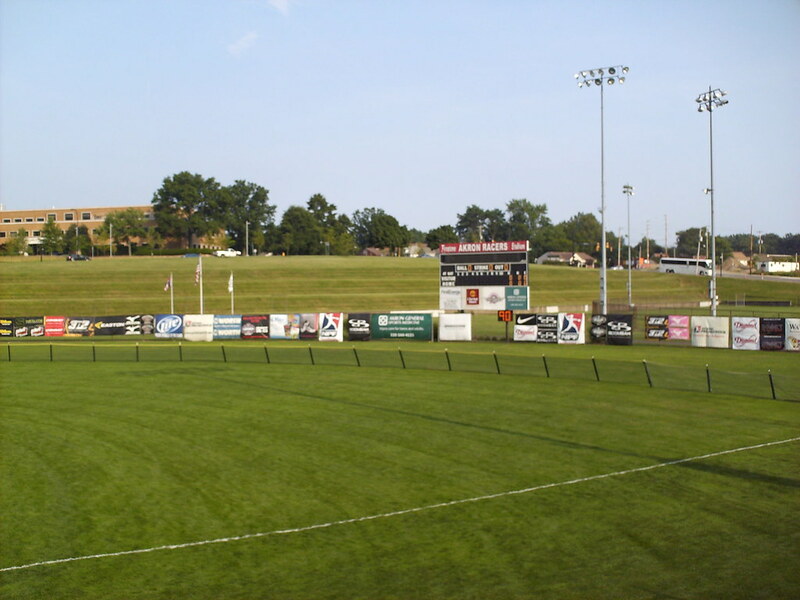 Akron Racers retired numbers above the brick arches at the top of the grandstand. 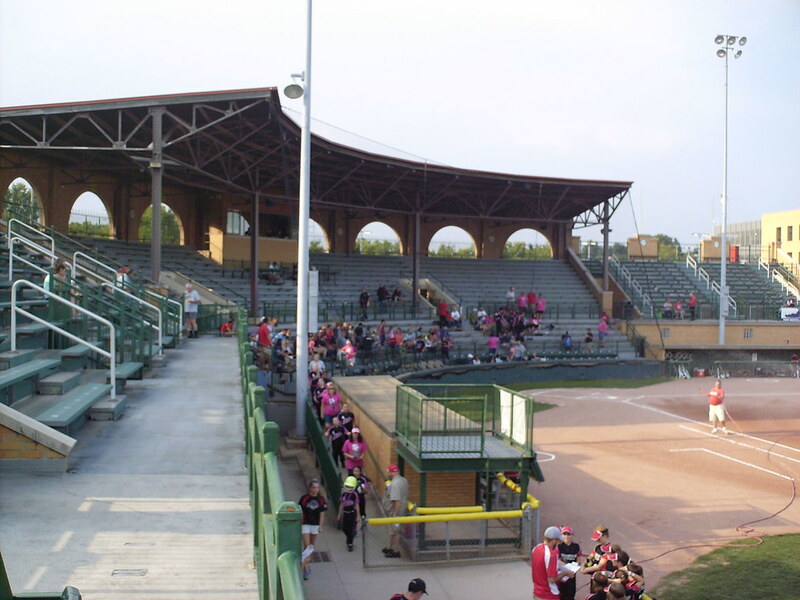 Large uncovered bleacher sections are built into each side of the stadium structure, and a smaller separate bleacher section sits in the left field corner. 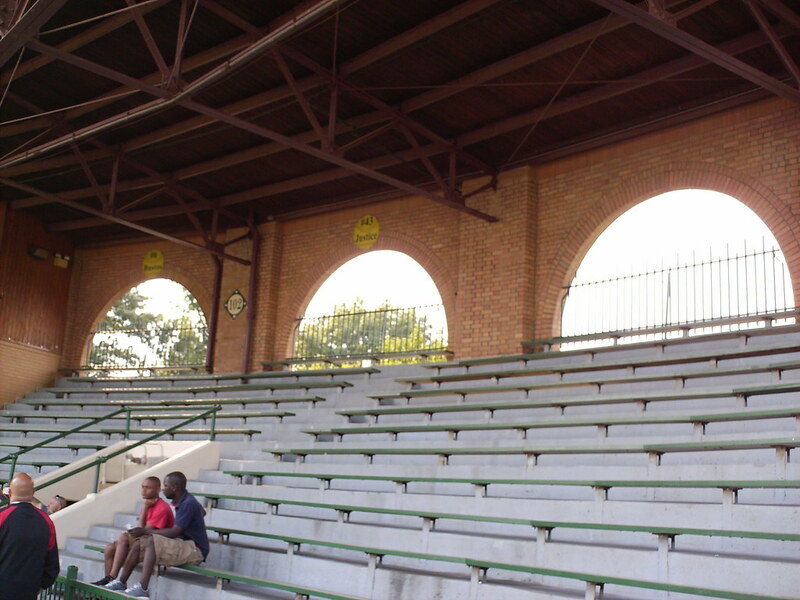 Another small bleacher section sits in the right field corner. 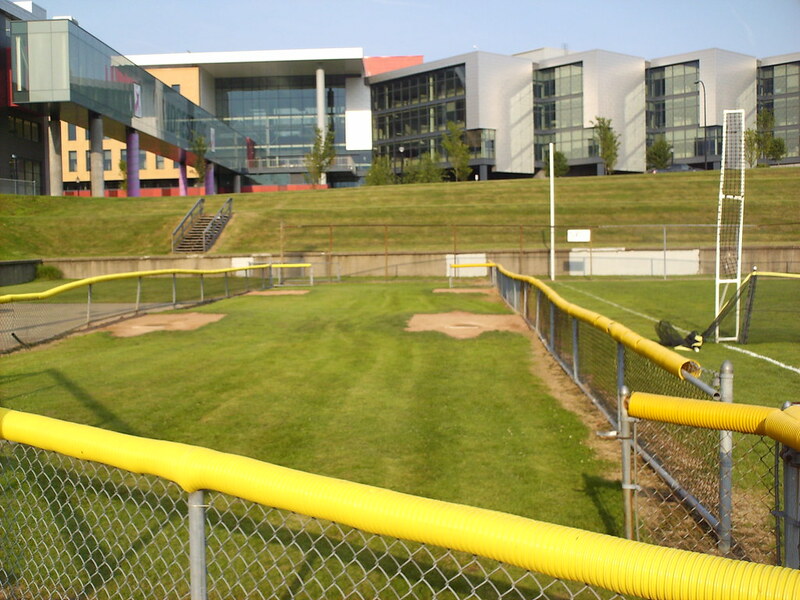 The fence makes several sharp corners in foul territory. 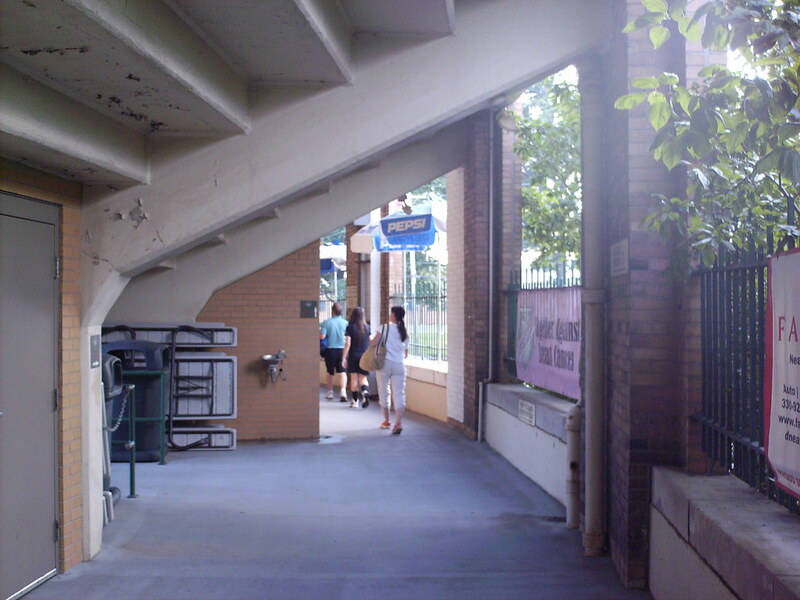 The concourse, located underneath the main seating bowl. 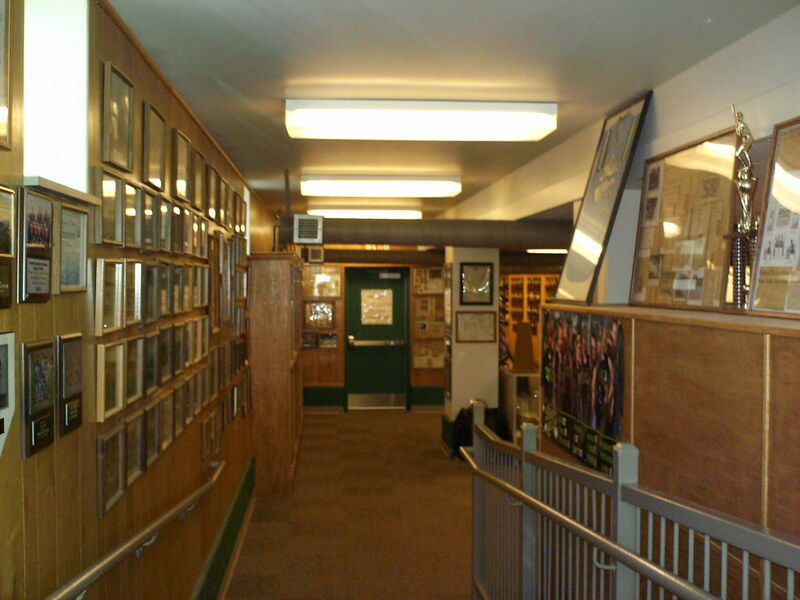 The Fastpitch Softball Hall of Fame, underneath the Firestone Stadium grandstand. 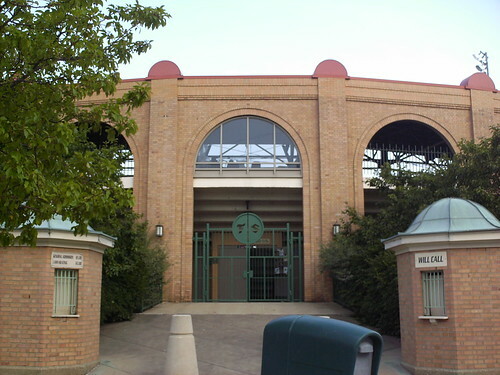 The bullpens, located beside the left field foul pole, and just down the hill from the Bridgestone/Firestone headquarters building. 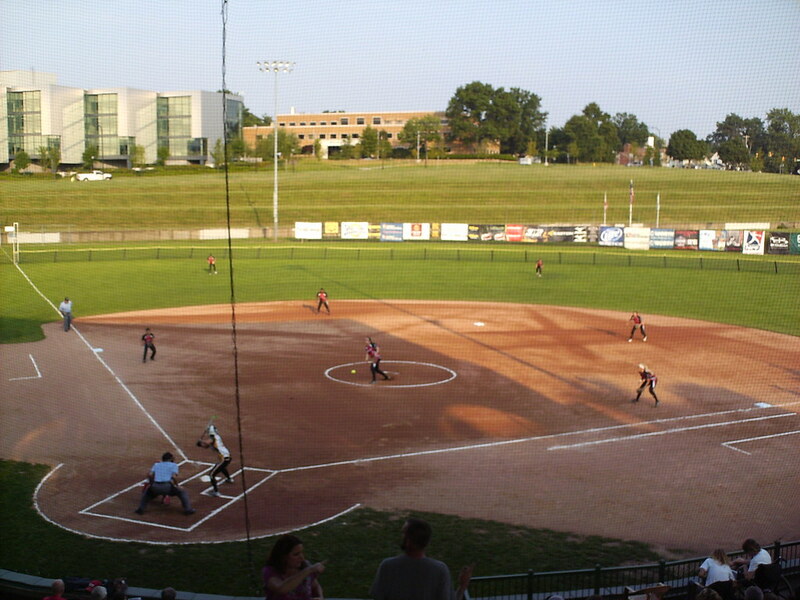 While the softball infield is entirely dirt, there is grass between the plate and the backstop. 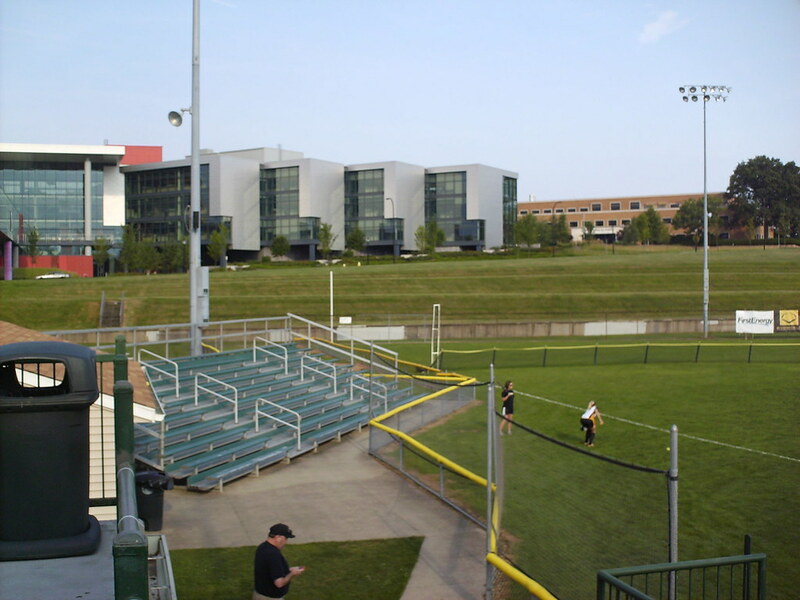 The scoreboard sits behind the baseball outfield wall, with a softball fence installed in front of it. 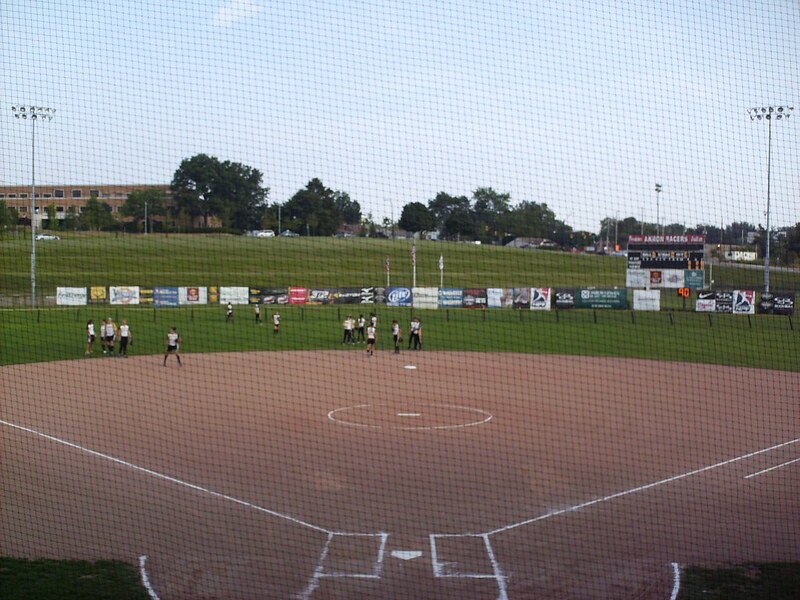 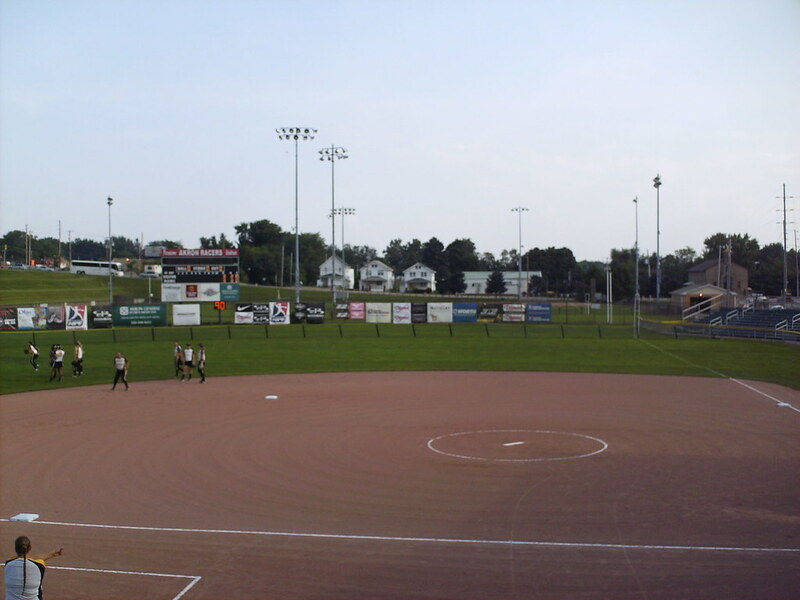 The Akron Racers on the field during an NPF game at Firestone Stadium.